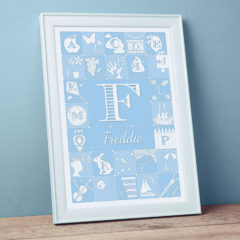 Personalised New Baby Photo Print by Artetype. A perfect newborn gift. 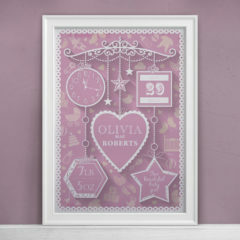 A personalised new baby photo print to celebrate your baby's birth and commemorate all the special details. 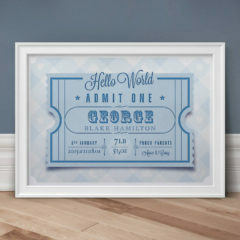 This beautiful contemporary print combines typography and photography to make a unique keepsake for the baby and the new parents. 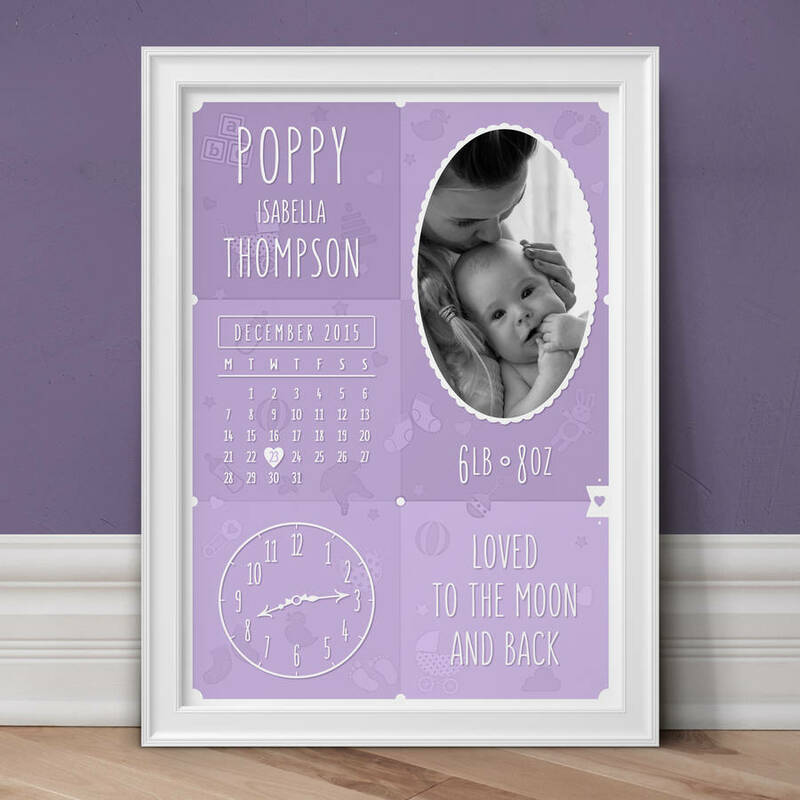 Our Personalised New Baby Photo Print is an ideal gift to celebrate the arrival of a new baby, a christening, naming day or first birthday. 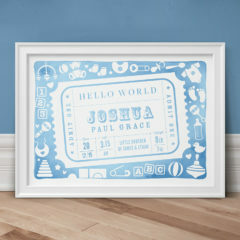 The detailed background includes a selection of baby icons. 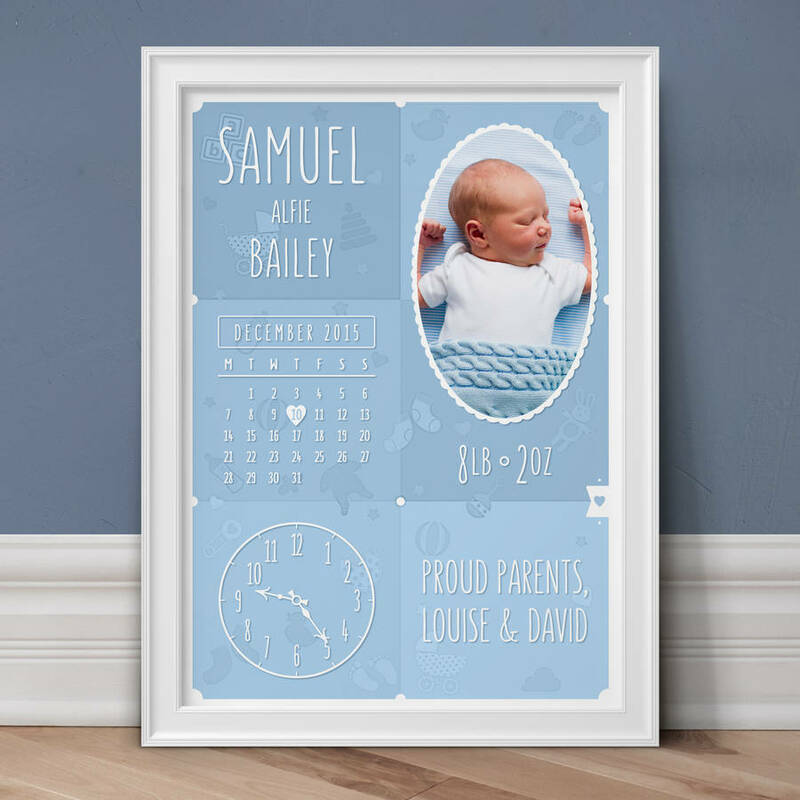 Personalise the design with your child’s photograph, name, the time and date of birth, the birth weight plus a short personal message. Your chosen photograph can be displayed in full colour or black and white. 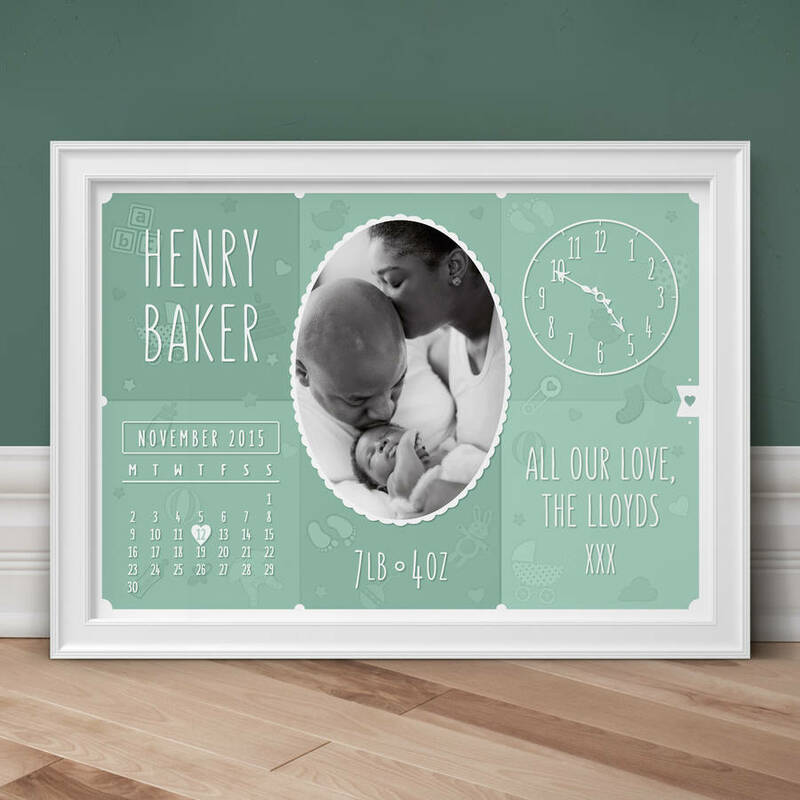 The print is available in either portrait or landscape formats in a choice of nine colours. 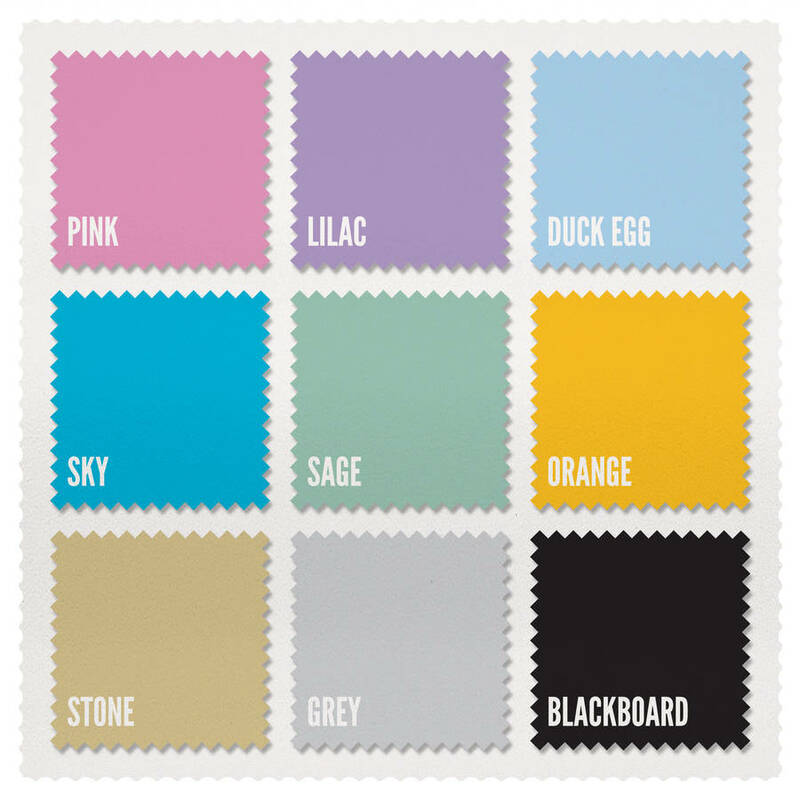 Choose from pink, lilac, duck egg, sky, sage, orange, stone, grey and a blackboard effect. The full colour swatch is available in the images section above. Once you’ve completed the Checkout process, a button will appear in the Order Overview page and a file upload screen will appear. You can upload jpg and png files here up to a maximum of 8mb. If you have any questions regarding the upload process or would prefer to email your images, please do not hesitate to get in touch. We can convert colour photographs to black & white if required. A proof will be supplied to you for approval before the artwork is produced. The print comes unframed, sealed in a cellophane bag and delivered in a hardbacked envelope.